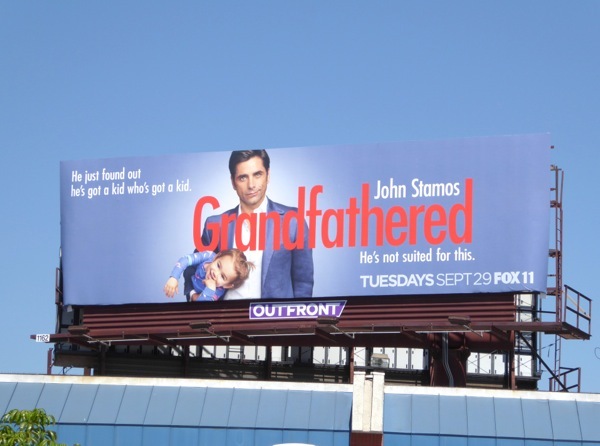 When he's not being busted for a DUI, or reprising his Full House role as 'Jesse Katsopolis' in the forthcoming Netflix reboot Fuller House, the TV icon can be seen in this Fall season's comedy, Grandfathered. 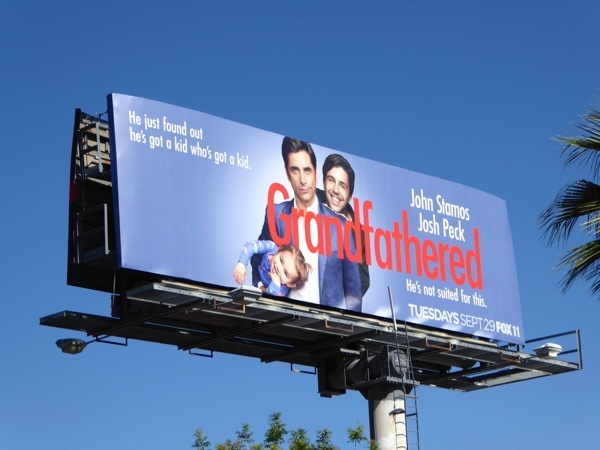 In his new sitcom, his successful restaurateur character 'Jimmy Martino' is having his bachelor lifestyle turned upside down when he discovers that not only is he a dad (to Josh Peck), but that his adult kid has a baby daughter too. 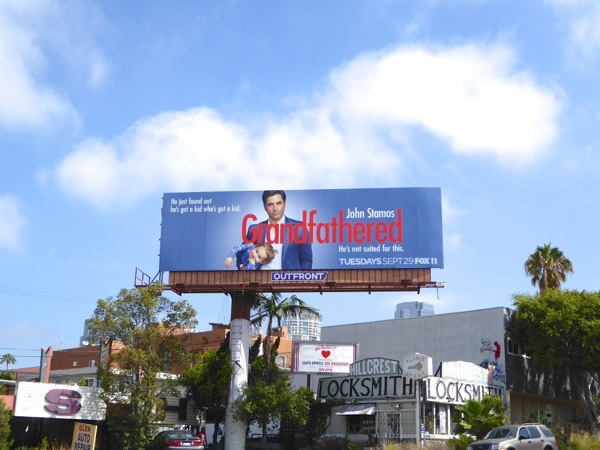 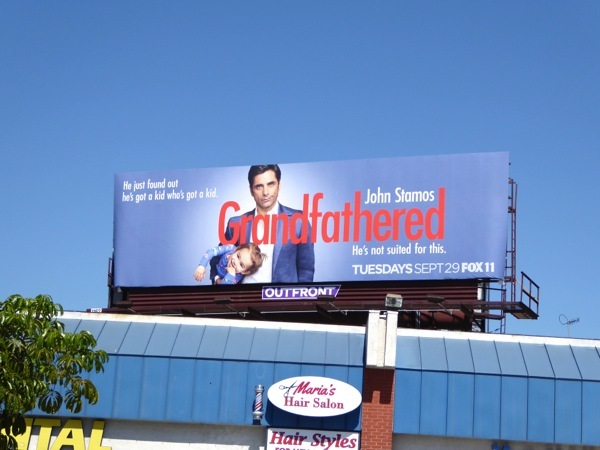 These billboards for Grandfathered were first spied along Pico Boulevard on August 23, then later along Santa Monica Boulevard in West L.A. on August 29 and more recently appearing along the Sunset Strip on September 24, 2015. 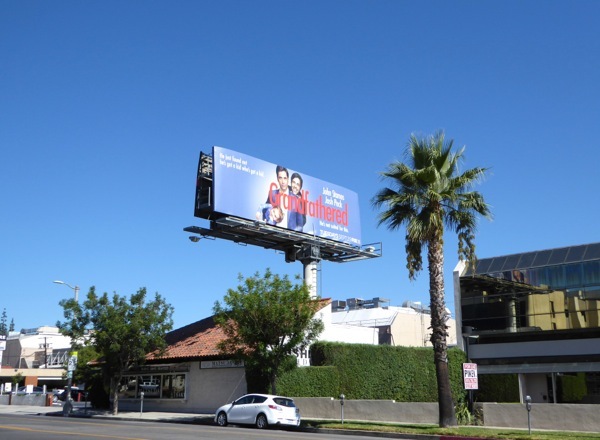 In addition the version featuring Josh Peck mischievously perched on his shoulder was spotted above Ventura Boulevard in Studio City on September 7, 2015. 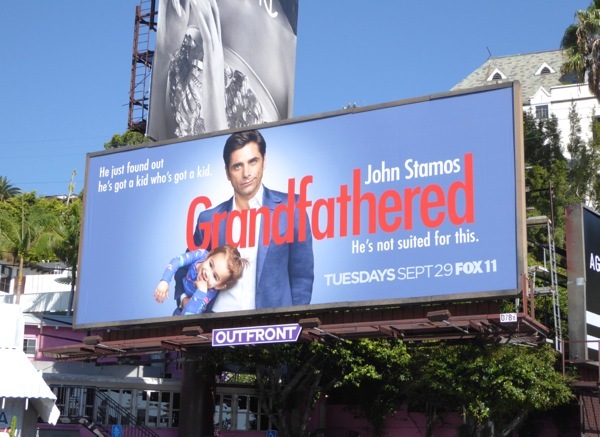 He may not feel cut out for being a father figure, but as Gina Rodriguez said on stage at this year's Emmy Award ceremony, John Stamos does make for a "pretty hot grandpa". 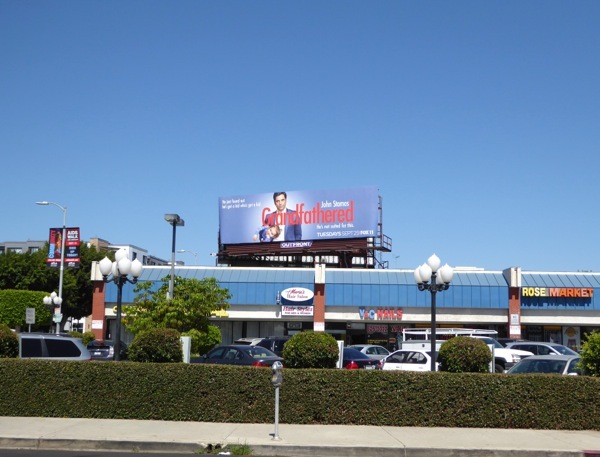 For another hot 80s crush aging incredibly well with a new show this Fall, be sure to also check out Rob Lowe in these billboards for The Grinder.